Dr. Jones is a faculty member in University of Texas in Arlington (UTA)'s engineering department, a member of the Dash7 Alliance's education committee and a member of AIM Global. He is also the co-author of RFID in Logistics: A Practical Introduction and many other publications. 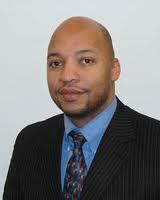 Dr. Jones holds a Ph.D., from University of Houston, M.S., from University of Houston, B.S., from Texas A&M University. ISCEA RFID workshop will cover both the technical and business application disciplines paramount in making an intelligent business decision with regard to RFID applications in supply chain operation.